The Vatukoula Gold Mine Limited (VGML) says its activities and operations pose no direct threat to its surroundings and residents in the area. 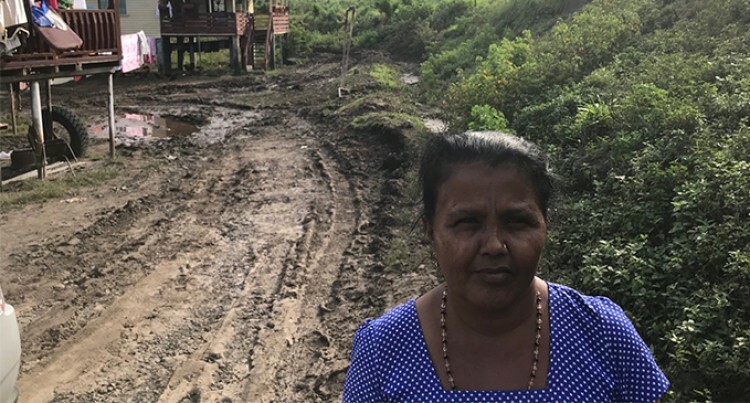 VGML made the comment after reports that the Ministry of Lands and Mineral Resources was investigating claims that the Nasivi River in Vatukoula may have been contaminated by what has been described as toxic slime, which overflowed into the river at the height of Tropical Cyclone Keni. Vatukoula Gold Mine Limited Corporate Services Manager and Senior Adviser to the General Manager Dinny Laufenboeck said the torrential rainfall brought on by TC Keni after weeks of prolonged rain and flood water in the Lobia Creek caused a washout of some dry tailings from an old tailings storage dam established in the early days of mining at Vatukoula. “Solid tailings of the age of those which were washed out have minimal chemical residue since they have oxidised in the main,” she said. A team from this newspaper visited some homes in Vatukoula which were affected by the floods in the wake of Tropical Cyclone Josie and Keni. It was observed that the so-called slime blended with mud and had a distinct odour and colour at close inspection. The slime is c;aimed to be waste that usually contains arsenic and mercury which flowed from the Vatukoula Gold Mine Limited slime dam. In response, Ms Laufenboeck said, “VGML analyses all discharges from the Mine at a number of boundary points daily, including the Nasivi River, the results of which are provided to both the Mineral Resources Department as well as the Department of Environment. “No threat has been detected to the waters surrounding Vatukoula by the events of the past week. “Officers of the Mineral Resources Department have been on site during the week as part of their regular control inspections. She refuted the claim that the discharge contained arsenic and mercury. “Arsenic has never been used in the processing of ores at Vatukoula,” Ms Laufenboeck said. Some residents are urging authorities to find out if the discharge did overflow into the Nasivi River and into residential areas. Nirmala Devi, 58, of the Toko area said: “We noticed slime in our homes. During two previous floods we did not notice any slime. “The company workers came and water-blasted our home, for which we are grateful,’’ Ms Devi said. The majority of the residents confirmed what was found on the basis of anonymity. “There were deposits and the company sent diggers to clear. We are told that when the mud is hard it will be taken to the mill for further process,” said one resident who declined to be named. Ms Laufenboeck refuted the claims. “The unpleasant smell experienced by the residents in the area would therefore not be attributable to any chemical residue from the tailings residue,” she said. “Certainly VGML has offered assistance to the residents affected to clean up their homes.